Australia’s majesty isn’t limited to one city but is encapsulated by the country as a whole. 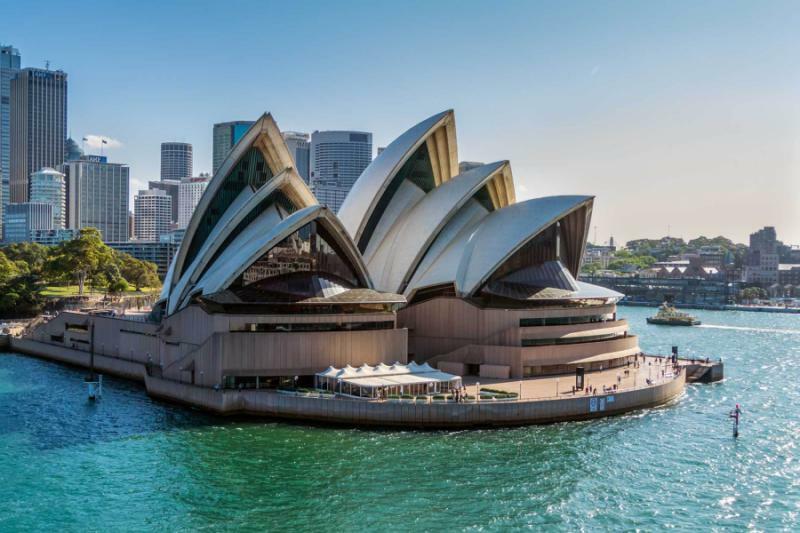 Designed for 2019-2020, in this 13-day tour around Australia, experience the magic and breadth of Australia, from coast to desert, from natural jungle to manmade Opera House; the legends of Australia will keep you in wonder, and the beauty will keep you wanting more. 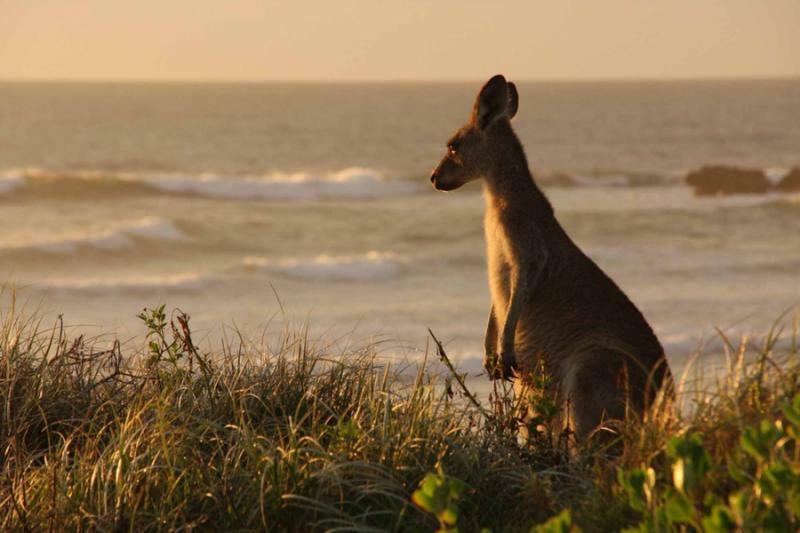 Travel through Australia’s natural beauty and rich culture in this 13-day tour. 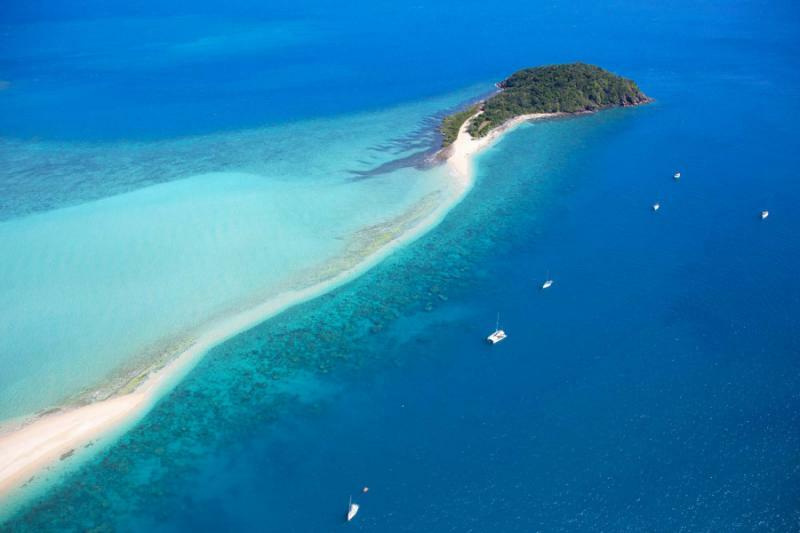 Stay in the lap of luxury while you experience the Great Barrier Reef, your body in the water and your mind wrapping around the cultural importance of the mudflats. The Pullman Port Douglas Sea Temple Spa & Resort contains an expansive lagoon pool and lush tropical gardens that will bring you closer to connecting with the incredible landscape. 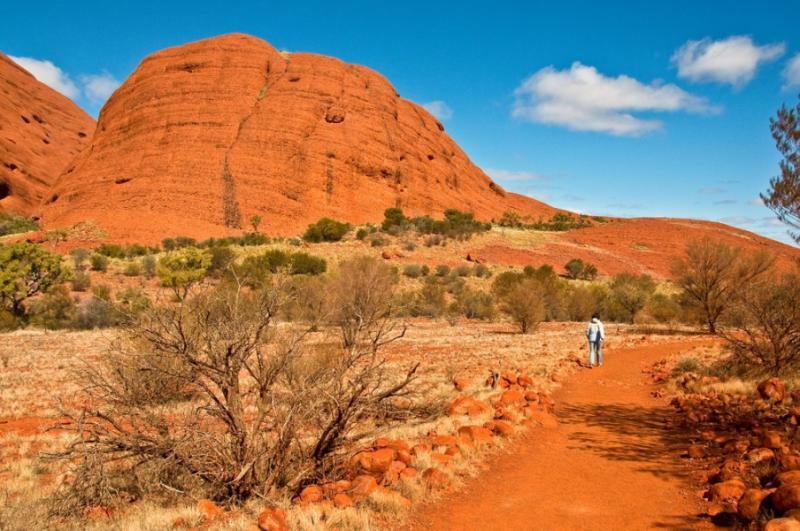 Uluru (Ayers Rock) emanates a sense of spirituality and culture, in its size and its imposing red color, in the heart of Australia. 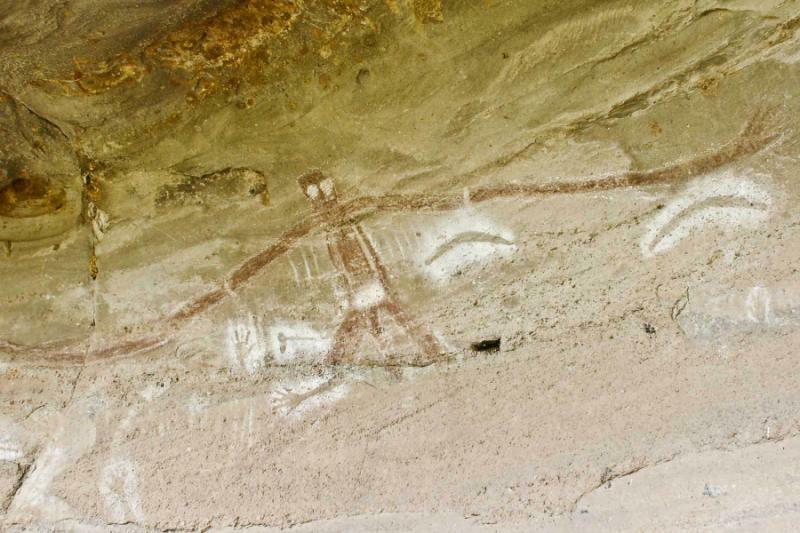 An Aboriginal guide will give you a firsthand account of the stories and importance of this sacred place. 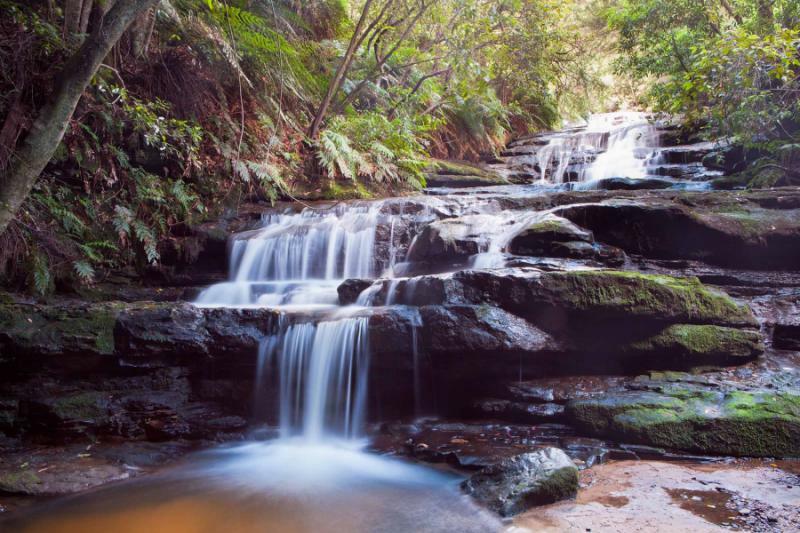 Sydney has much more to offer than its Opera House and Harbour Bridge. Based in the Shangri-La Hotel you can discover the city's historic enclaves, restaurants, and art galleries. The views from the hotel are as close to perfect as you could get. The beauty of Australia’s nature and culture are at your fingertips. The arresting red of the desert, the opulent blue of the Great Barrier Reef, the endless green of the rainforest, the pleasing white of Sydney’s Opera House, all created and shaped from the magical legend of Dreamtime. Cross the International Date Line bringing you a day forward and that much closer to touching down in Australian soil. Arrive in Cairns and ready yourself for the luxurious comforts of the Pullman Port Douglas Sea Temple Spa and Resort. Designed for relaxation, the resort and spa is the perfect place to settle in after the long flight. With apartments circling the crisp lagoon pool, and surrounded by the lush fairways of the golf course, you are set in the serene quiet seclusion. 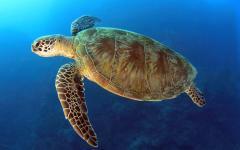 Experience the majesty of the Great Barrier Reef with a cruise to three different sites to explore. The sun shines a golden bright overhead. The water is warm and inviting. 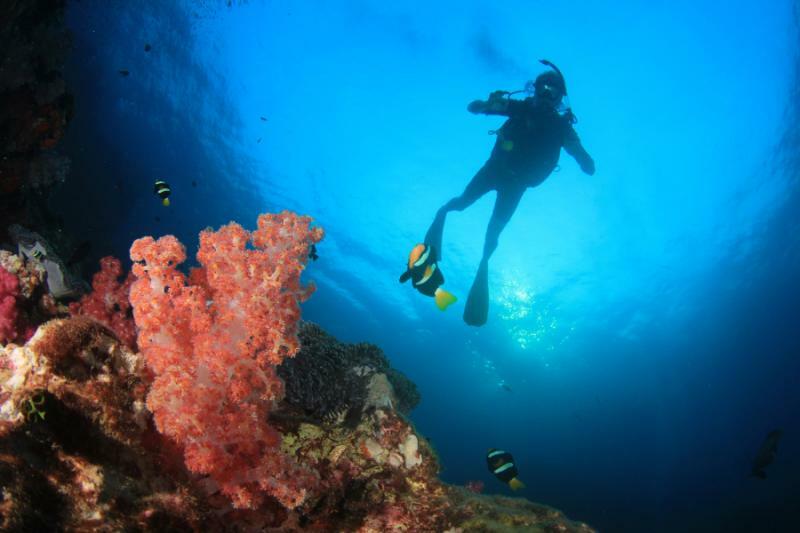 Whether snorkeling, SCUBA diving, or looking through a glass bottom boat, there is plenty to see. The pink coral can be seen shining from above the water as schools of fish swim unperturbed by the foreign bodies swimming around the reef. 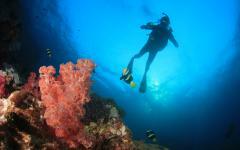 Sea anemones wave in the subtle current; baby manta rays flutter across the ocean floor. The wonderland beneath the water will be like nothing you have ever seen with coral and creatures intermixed to build a stunning, colorful habitat. Swim, float, hover, or dive down to the coral; no matter how you spend the day at the reef it will be well spent and incredibly beautiful. The rain forest is a different type of magic, with birds flying higher than the trees’ canopy, extending the beauty of the forest that much further. 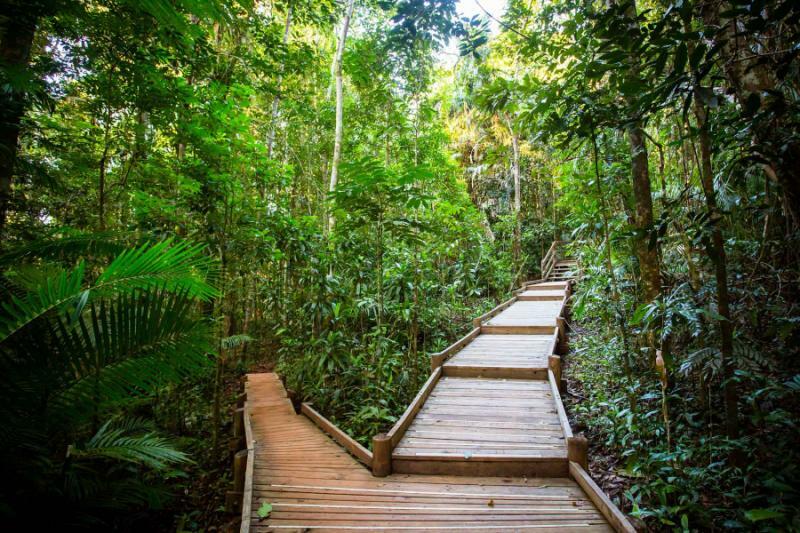 Australia’s rainforest is plush and green with the smell of soft rain never far away. 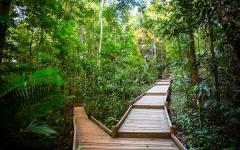 Spend the day with a local Aboriginal guide wandering through the coastal mudflat. Australia is home to unique and eclectic birds that roam the wetlands, where the jungle meets the sea, foraging for food and lounging in the wet sand. Search for lunch with your guide, hunting the elusive mudcrab with spears in you hand and the sea breeze in your hair. Also learn the art and symbols of Aboriginal dot painting. Learn to decode whether the swirls in the art show native berries or a collection of stars, each painting representing one, if not many, Dreamtime Stories. Decode the ancient tradition, or try to tell your own story. 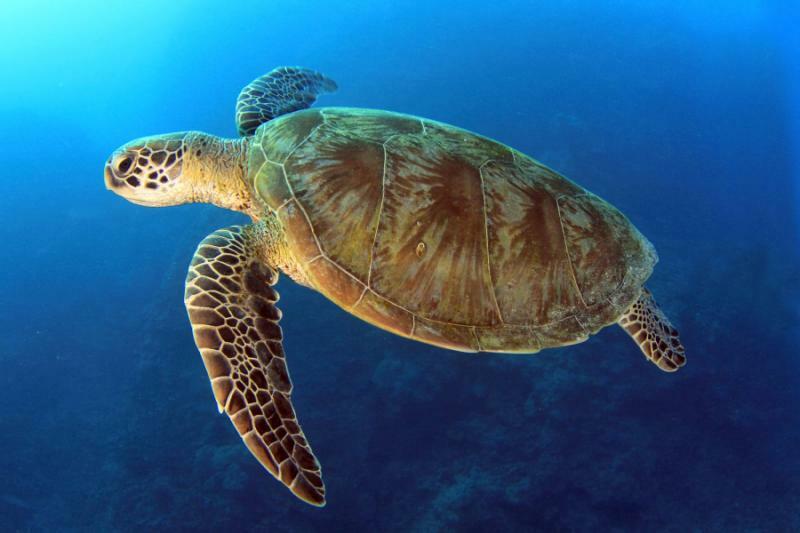 Spend the day experiencing more of the reef and the incredible marine life that lives beneath the waves. Swim with the Dwarf Minke Whales off the coast of Port Douglas. Often swimming right up to a visiting vessel, the Dwarfe Minke Whale is dark gray with a stark white band on each flipper and a long narrow snout. Whether floating in the water, standing on the deck, or having one of the Minke Whales inspect your swimming style, the Dwarfe Minke Whale is another beautiful experience under the sea at the Great Barrier Reef. 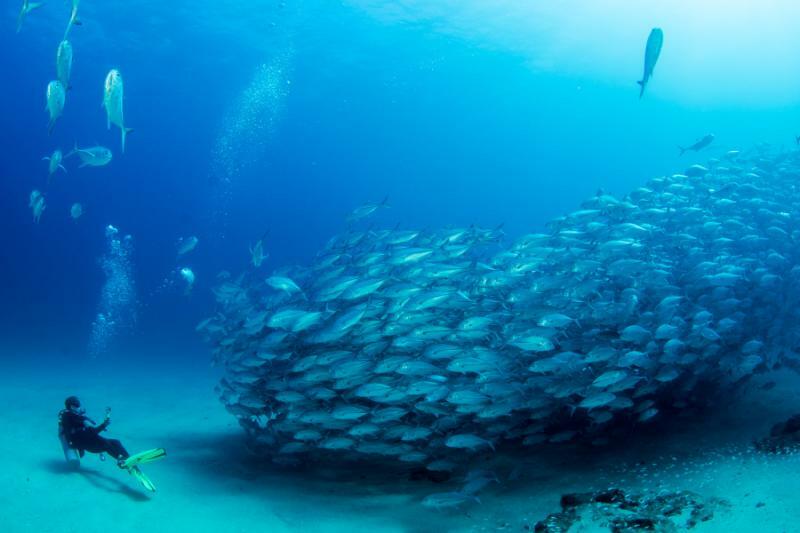 Perhaps you will witness the whales chasing a school of sardines or anchovies. 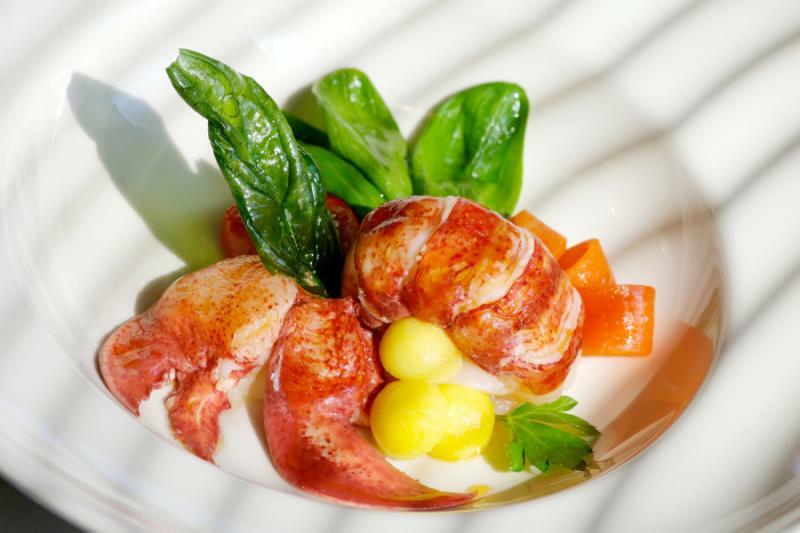 At night, try the restaurant Nautilus, with its clean and crisp Asian influence; the marinated tiger prawns are briny and tender with the sweet of tomato citrus to end every bite. 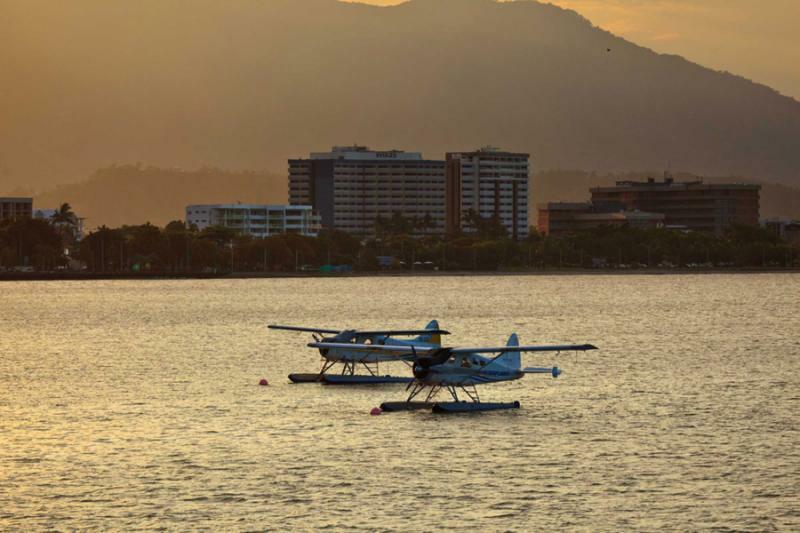 Take a ride to the Cairns airport where you will fly from the pristine blue of the ocean to the glowing red of the Red Center to visit Uluru (Ayers Rock). 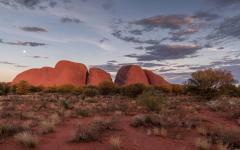 In the afternoon visit Kata Tjuta (the Olgas), a collection of red domed rocks that cast a large shadow over its flat surroundings. 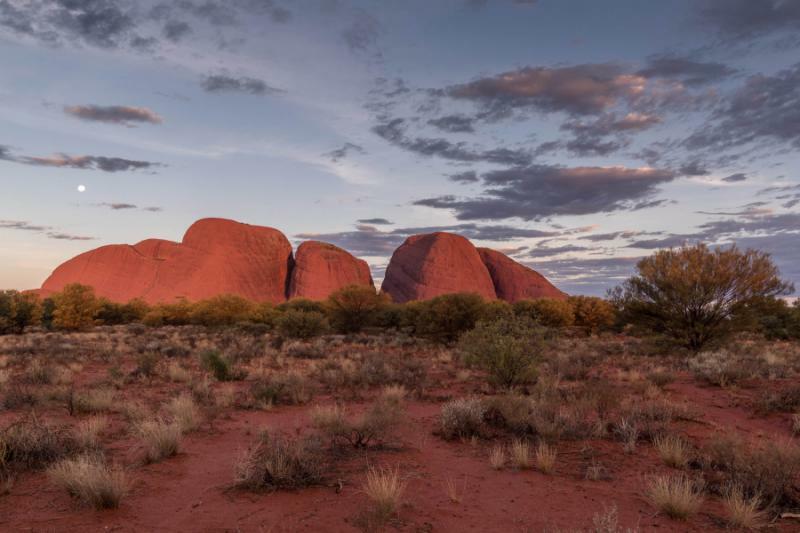 Learn about the significance of Kata Tjuta as an Aboriginal ceremonial site, and its importance in the Dreamtime legend. The air is dry and rich in oxidized soil. The shade is cool and welcoming. The wind glides through the crevices and open spaces, softly howling, like a reminder of the voices of the giants that Olgas were during Dreamtime. Spend the evening at the refurbished five-star Sails in the Desert Hotel. The hotel looks like a desert ship sailing in the red of the sun and the sand. The sails offer shade to every inch of the resort, including the rooms and the lookouts that surround the area. Watch the sun set over Uluru, while its famous red façade twists to a bright purple as the sun dips below the horizon. The smell of warm sand fades to the scent of tranquil, crisp water in the pool. 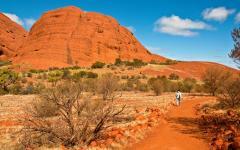 Experience the sunrise over Uluru with a guided morning base tour. The sunrise blankets Uluru’s famous and vibrant red over the monolith. 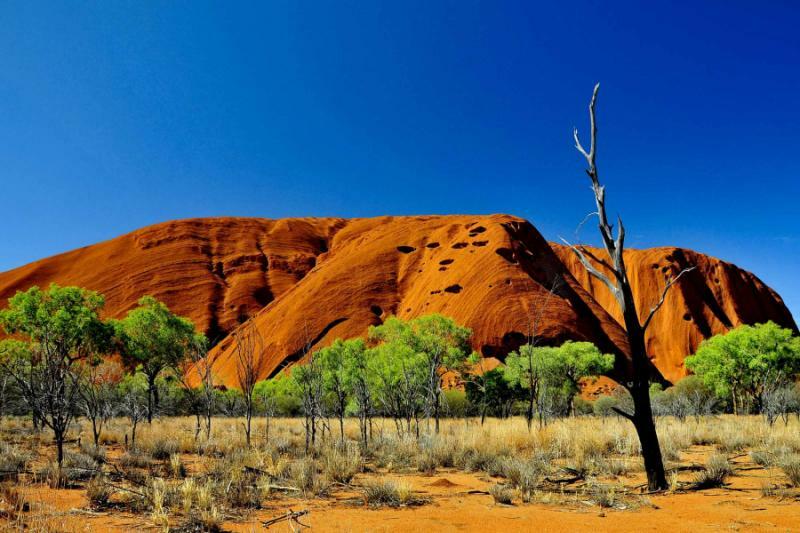 Uluru can be seen in major motion pictures like Australia, with Hugh Jackman and Nicole Kidman. Enjoy a picnic breakfast of Australian proportion - meat, eggs, and the Outback. 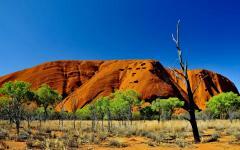 Uluru is the largest and most significant monolith in Australia. Decorated with Aboriginal rock art, parts of Uluru are off limits to those not affiliated with an Aboriginal tribe and set aside for ceremonial purposes only. 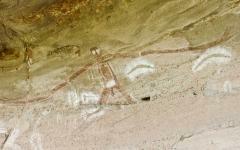 The tour will also give you some of the legends of Uluru, including the importance of the Rainbow Serpent. When night falls over the desert, take part in the Sounds of Silence Dinner. A gourmet barbecue is served under the limitless stars that light up the desert night sky. Complete silence is a unique experience today, but can be captured in the seclusion of the Outback. As the hum of the didgeridoo surrounds you, Uluru lingering in the distance, the stars filling the sky, the delicious food on your plate, embrace the magic of the desert. A transfer from the resort to the airport will have you flying to Sydney in no time. Darling Harbour and the elegant sails of the Sydney Opera House can be seen on the descent, welcoming you to the city. The combination of the high-rise downtown, the deep blue of the water, and the vibrant green of the city’s parks pop in contrast to one another, yet combine with effortless ease to shape the beauty of the city. 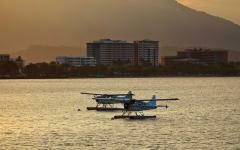 From the airport you will be transferred to the Shangri-La Hotel. The luxurious accommodation is complete with gorgeous views of Darling Harbour, the Opera House, and the Grand Harbour. For an elegant and tasty end to your day, try Sails on Lavender Bay, a restaurant on Sydney Harbour with incredible views of the Opera House and the Harbour Bridge. The freshly shucked oysters are a great way to start your meal. Fresh and local, the oysters offer the decadent flavor of the best of Australia in one bite. Whether on a bike or in a private coach, Sydney offers various ways to see the highlights of the city with knowledgeable and helpful guides. The Sydney Opera House is the jewel of the city, perched on the water’s edge with the roof resembling the white sails of the boats that decorate the water. Stroll along the Esplanade viewing the Opera House from every possible angle, the brick of the building blending into a seamless structure of awe. The ocean breeze and smell of saltwater is never far away in Sydney’s streets. 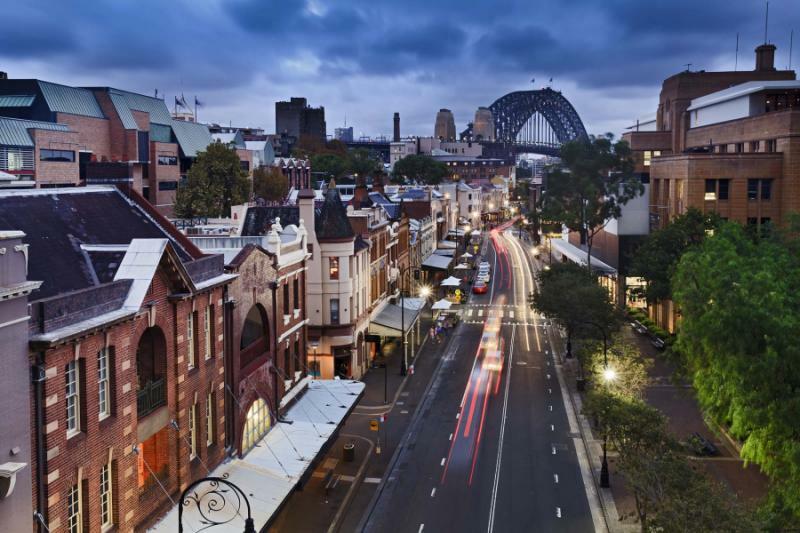 Explore the Rocks district, one of Sydney’s oldest and liveliest areas. 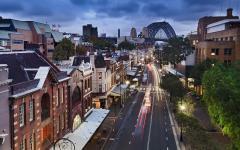 Located near downtown and close the Harbour Bridge, the Rocks is filled with shops, galleries, and restaurants. If you want to learn about Sydney pre-western civilization, meander through the current steam-punk art of AHW Studios, or obtain the authentic vibrant neon of Sydney beachwear at Between the Flags. The Rocks is where to explore. Darling Harbour is a fun and lively place to experience the Sydney lifestyle. The Chinese Garden of Friendship recreates the harmony of a traditional Chinese gardens with sounds of rushing water from gentle waterfalls and serene lakes, exotic plants sweeping through pavilions and hidden pathways. Koi inhabit the lakes and circle one another in a friendly push and pull, willows tremble in the slight breeze with the smell of dim sum emanating from the teahouse. With the sun falling over the Western horizon, try the incredible food and world-class view at the Altitude Restaurant. 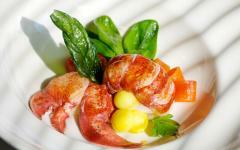 Contemporary Australian cuisine with one of Sydney’s best views, and it is located at the top of the Shangri-La Hotel. Experience Sydney like a local on the luxury Calypso motor yacht. The guided cruise takes you around and away from the Harbour, under the Bridge and around the beautiful shoreline of New South Whales to secluded beaches and coves. A three-course traditional Australian barbecue is provided on the yacht, accompanied by delicious Australian wine and beer. With the revitalizing sea air on your skin, watch the Opera House sail into the distance from the viewing deck; soak in the warm glow of the sun; float past the luxurious homes that dot the coastline of Hunters Hill. 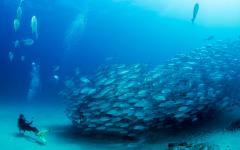 When the boat has anchored, take the time to swim in the cool, blue water off shore, or throw in a line and wait for the kingfish to start biting. 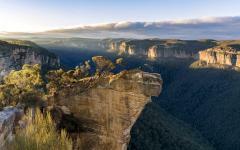 Just outside of Sydney lie the Blue Mountains, a stunning range that stretches across the inlands of New South Wales. Bark and spruce fill the surrounding air. A visit to National Park Glenbrook offers easy access to viewing the bounce and fluff of kangaroos in the wild. Birds are plentiful, many of the kangaroos are tame and lay around in the cool shade of the forest. 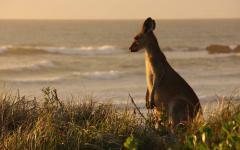 The diverse Australian wildlife surrounds you with every step. 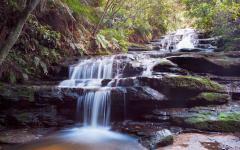 The Blue Mountains are equal parts embracing and daunting, with the density of trees creating an absorbing, quiet calm. Continue to the “Three Sisters,” three rock formations situated side-by-side, spires amongst the vast valley below. With the valley at your feet and the Three Sisters before you, it is a wonderful way to say farewell to the magnitude and majesty of Australia. Take a private car to the airport to catch your return flight to the US. Though the trip is over, the experience of Australia and the magic of Dreamtime will always be close at hand.